If your job is between the sticks give your hands the best protection with these Reusch Fit Control Supreme G3 Fusion Ortho-Tec Goalkeeper Gloves in a Lime, Safety Yellow and Lime colourway. These goalkeeper gloves by Reusch have an even better glove grip at game level in all weather conditions thanks to the new G3 Fusion. The completely new latex mixture for the Reusch Fit Control Supreme G3 Ortho Tec includes special adhesive additives for better grip, great abrasion resistance, and upgraded wet weather performance. More resistant black solid latex dots increase the durability of the Reusch goalie glove at game level. Blue aqua latex dots with innovative Hydrograin technology push the grip in rainy conditions to a higher level than the G2 latex.EFT maximizes the foam area around the finger tips with roll flat characteristics enabling even better control during the save. The side mesh vents allow this glove to keep cooler during match play. 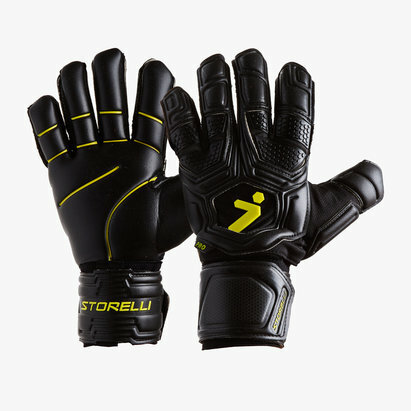 These gloves contain Reusch's removable, free-floating Ortho-Tec stay system which anchors the individual finger spines at the extreme end of the fingers and thumbs; thus allowing unsurpassed flexibility and customization in the glove. 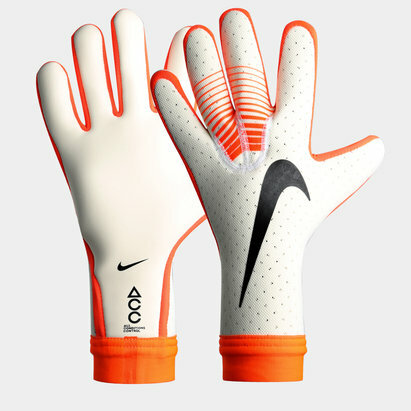 The embossed foam design makes the glove more flexible at many breakpoints. 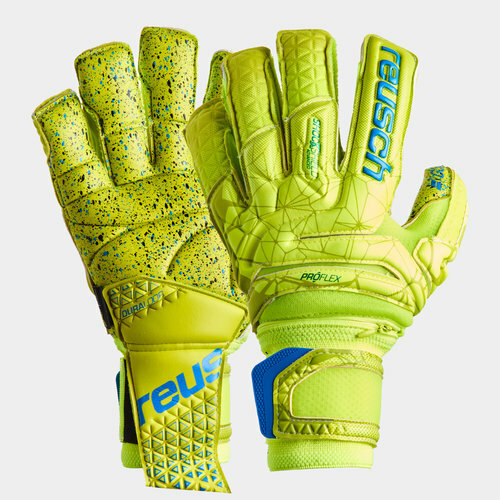 Reusch's revolutionary Pro Flex technology offers excellent flexibility that improves the glove fit and performance. The wrist strap closure is half elastic for a custom fit. The wider wrist bandage provides the keeper a better fit, more support, and thus more control of the Reusch glove and shot. 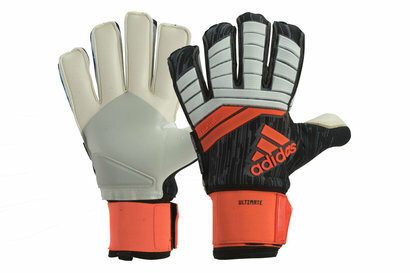 These are the best goalkeeper gloves with fingersaves in the Reusch USA range.